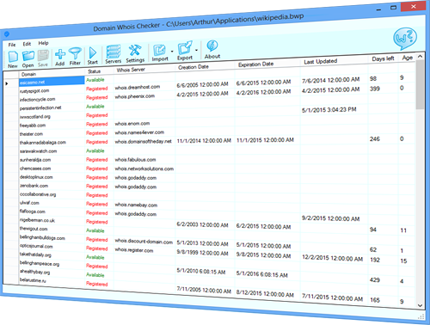 Domain Whois Checker is a powerful tool to check availability of multiple domain names or monitor domain name expiration. You can check a large list of the domain names, save it for later checking and find out great expired domain names using date filters. Also you can check all available gTLDs of a particular domain name.